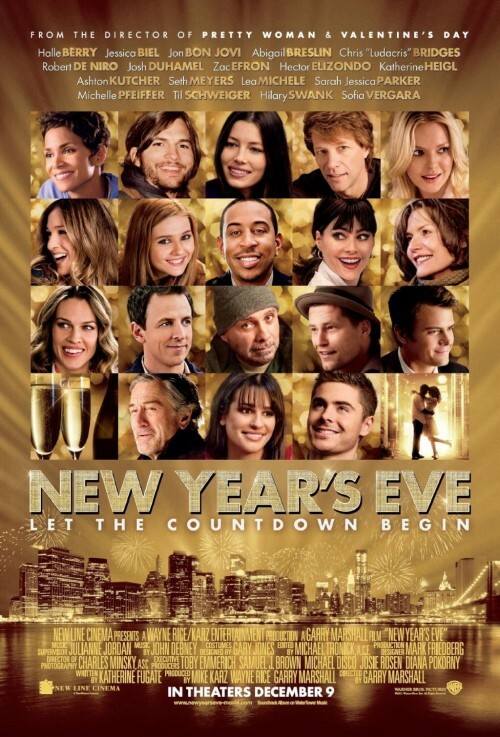 NEW YEAR'S EVE, starring Halle Berry, Ludacris, Sofia Vergara and more, hits theaters THIS Friday, and Warner Bros. is giving away a bunch of exclusive passes to watch the movie! Email us your name, address, and telephone number with the subject line NEW YEAR'S EVE to [email protected]. for your chance to win a pair of passes along with some NEW YEAR'S EVE swag! NEW YEAR'S EVE celebrates love, hope, forgiveness, second chances and fresh starts, in intertwining stories told amidst the pulse and promise of New York City on the most dazzling night of the year. The film's all-star cast includes Academy Award winner Halle Berry, Jessica Biel, Jon Bon Jovi, Academy Award nominee Abigail Breslin, Chris "Ludacris" Bridges, two-time Academy Award winner Robert De Niro, Josh Duhamel, Zac Efron, Hector Elizondo, Katherine Heigl, Ashton Kutcher, Seth Meyers, Lea Michele, Sarah Jessica Parker, Academy Award nominee Michelle Pfeiffer, Til Schweiger, two-time Academy Award winner Hilary Swank and Sofia Vergara. NEW YEAR'S EVE hits theaters this Friday, December 9th.